took place in Boston on March 17, 1737. Despite what a New Yorker might tell you, the first St. Patty's parade did not occur in New York City, 1762... although that parade might take the cake for oldest, planned St. Patrick's Day parade. The members of Boston's Charitable Irish Society started their 1737 parade spontaneously, perhaps after enjoying a few celebratory pints. at the first St. Patrick's Day parade in Boston. Unfortunately, the members of the Charitable Irish Society were unable to quench their thirsts with pints of the black stuff in 1737, as Arthur Guinness did not begin brewing until 1759 and did not begin exporting until 1769.
an actual plant, botanically-speaking. While the Republic of Ireland acknowledges the yellow suckling clover (Trifolium dubium) as the official "shamrock," historians still argue over what plant -- if any -- St. Patrick used during his roving ministry. In North America, what shops typically sell as "shamrocks" are either wood sorrels (Oxalis acetosella) or white clovers (Trifolium repens). Irish. Most sources indicate he was English and that Irish raiders kidnapped him and sold him into slavery in Ireland at some point during the late 4th or early 5th century A.D. Oh yeah, and his name wasn't Patrick, it was Maewyn Succat (or Magonus Sucatus). 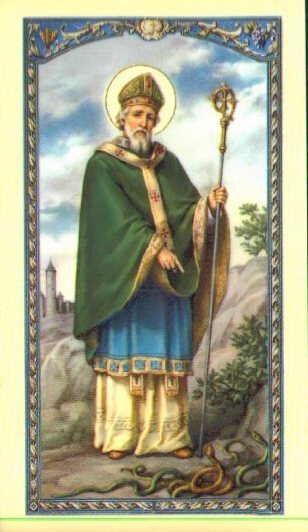 drive any real, living-breathing snakes out of Ireland, because there weren't any wild snakes in Ireland during the 4th or 5th centuries. Marie Coady:Which Came to Boston First, St. Patrick's Day or Evacuation Day?